Caballa magic is no longer an unintelligible mystery. Ophiel's classic Art and Practice of Caballa Magic is a clear, lively, and practical guide to occult magic. 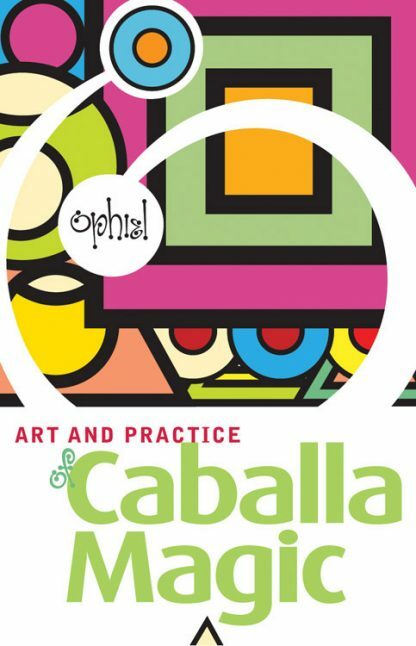 Other books merely offer a theoretical explanation of Caballa--Ophiel teaches readers how to use it. From Ophiel's Art and Practice series, Art and Practice of Caballa Magic begins with a brief history of Caballa. It then examines the correspondences of the Tree of Life and its symbolism. One chapter offers an interesting and unique interpretation of the Three Pillars, relating them to past, present, and future. As always, Ophiel's accessible, conversational language gives fresh insights and new understanding to occult students and interested readers alike. The book provides clear instructions for practical, productive work using the symbols of the Tree of Life daily. "There exists an Occult system of Truth Knowledge called Caballa. . . The Caballa system has many advantages over any other system I have ever heard of in the matter of immediate accurate Truth Knowledge, but to my mind vastly more important is the fact that in this system you can grow in Knowledge and Power, and at your own pace, and NEVER REACH AN END."